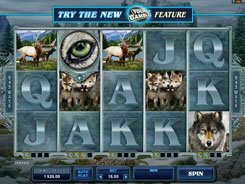 The 5-reel 20-line Cabin Fever slot will transport you to a snowy log cabin with a family of bears for company. 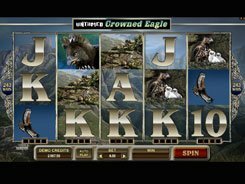 The slot has a host of features to help you earn good wins. 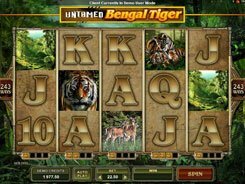 The betting system is fairly flexible as the machine accepts up to ten coins per line. Besides, a coin size is configured from 1 cent to 50 cents, to suit your taste and budget. The slot’s symbols includes Mummy Bear talking on the phone, Daddy Bear taking a bath and drinking beer, bear cubs, squirrel, and snow-covered fruit segments. The icy ‘Wild’ word acts as a wild symbol that replaces other regular icons. The highest 5000-coin jackpot can be won when hitting five wilds in a row. Besides, a wild symbol doubles any win when completing a combo of matching symbols. A hungry greedy squirrel holding two nuts is a scatter symbol. 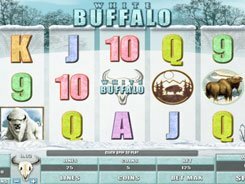 When two to five scatters display in any position on the reels, you are awarded a cash prize x1, x2, x15 or x200 times your bet, respectively. Another scatter symbol is represented by a sad-making Sun. 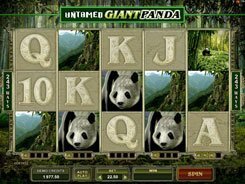 It appears on the first and fifth reels only, and triggers fifteen free games once landed on either of the specified reels. The free games feature can be retriggered.